Dr. James J. White is helping patients all over Las Vegas discover their dream smiles. Dr. White provides a variety of dental services—ranging from simple preventive care to complex, multi-phased full mouth reconstruction treatment. Dr. White D.D.S. is a 1972 graduate of Northwestern University Dental School. 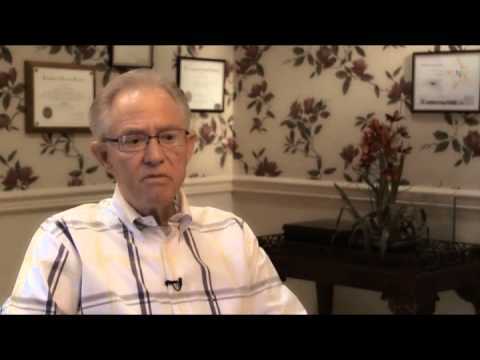 From 1972 to 1999, he maintained a private practice in Greenwich, Connecticut, which emphasized comprehensive restorative care and cosmetic dentistry. He is also an alumnus of the L.D. Pankey Institute and the Dawson Center for Advanced Dental Studies. Since 2000 Dr. White has been serving the Las Vegas community with high-quality, often life-changing, dental care. With extensive experience and training, he is able to correct difficult dental problems, enhance the appearance of a patient’s smile, and treat TMJ dysfunction. Dr. White’s practice is dedicated to helping Las Vegas dental patients by utilizing the latest dental technologies and treatments. Our team is firmly committed to continual education in the changing field of dentistry. We are proud to offer state-of-the-art dental implant replacement teeth; innovative Turbyfill fixed dentures; and modern TMJ treatment. In Las Vegas, Dr. White is on the board of directors for MASH Village (a charity organization for homeless families), as well as The Rotary Club of Las Vegas, Summerlin. In past years, he has been instrumental in organizing Vietnamese and Bosnian dental relief programs. He truly believes that excellent dental care can change a person’s life!